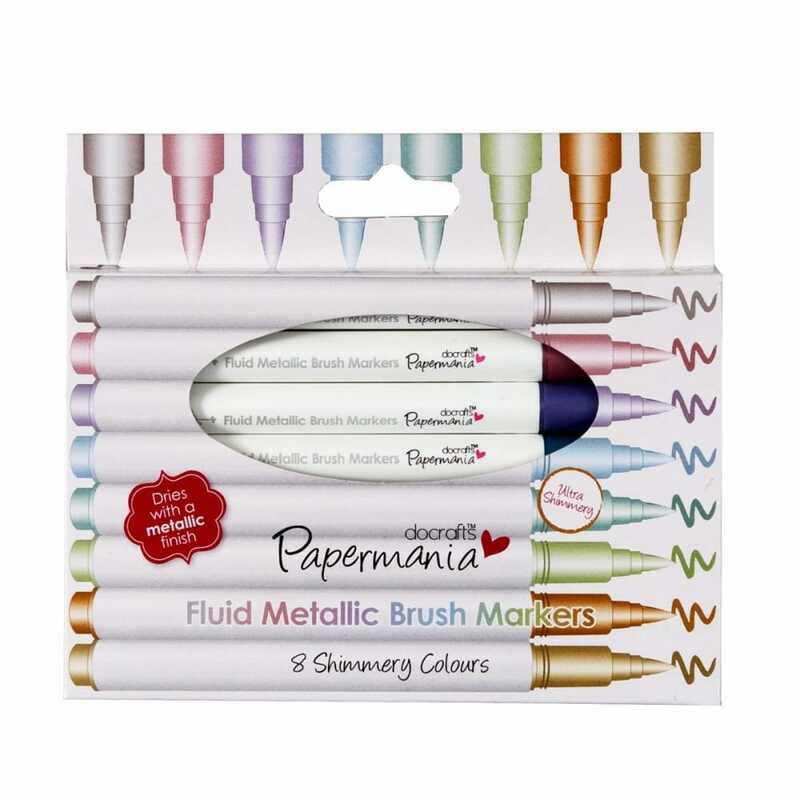 Fluid metallic markers in assorted colours perfect on light or dark paper. Available in pack of eight. Suitable to add metallic finish to craft projects. You can create fine lines as well as very thick lines depending of how much pressure will you apply to the tip.